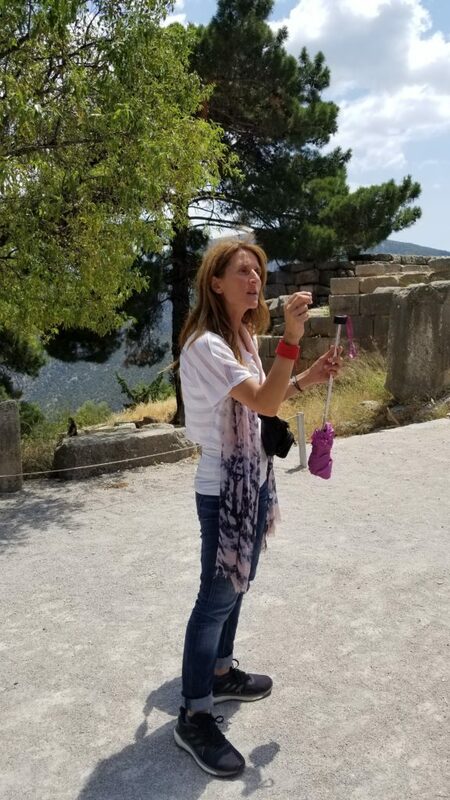 Our very knowledgeable Greek guide, Lida. The ruins of the Temple of Apollo, and an image of how the Temple used to look. 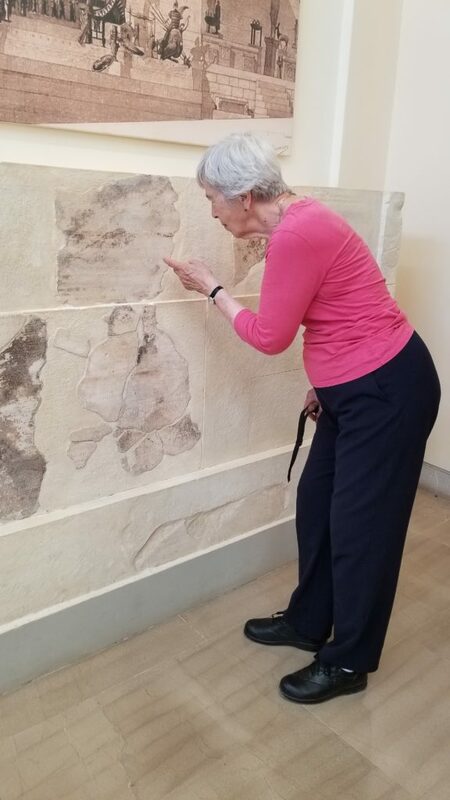 Eleanor, who is a music teacher, examining a large inscription of ancient musical notes carved in marble as it appears in the Archaeological Museum in Delphi.